Education qualification: Pass 10th, 12th with CPED / Degree / Post Graduation Degree in professional education (For Physical education) or its equivalent qualification from a recognized Board / University. Pay Scale- Rs.4900/- Per Month. 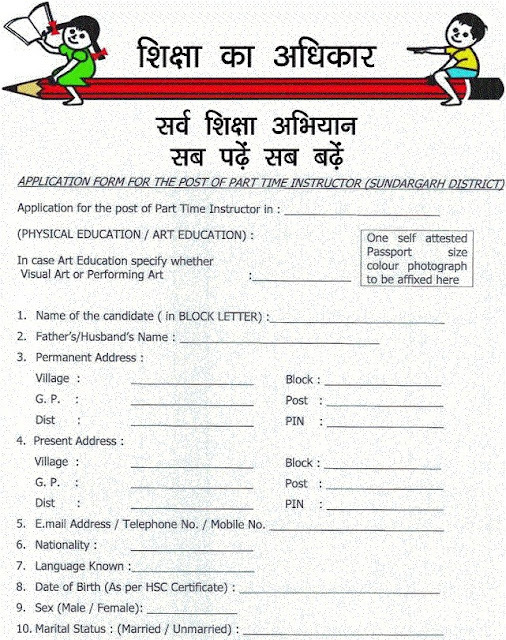 How to apply: Eligible applicant require to send their applications in the prescribed format along Form through official website www.sudergarh.nic.in. After filling the application form, candidate must send hard copy of application along with relevant testimonials (Mentioned in Detailed Advertisement) to the following Address before or on 15.12.2017. Write on the envelope “application for the post of Part Time Instructor (Art / Physical)”.